We understand that in a place like Monterey, there are a lot of places you could eat. So, why eat at El Charrito? Today, we are going to give you five reasons why you should come eat with us. El Charrito has been a Salinas institution for over 30 years. What began as a small grocery store of immigrants who refused to give up, soon turned into a restaurant specializing in authentic Mexican food, to-go style. Since then, El Charrito has become a Salinas institution loved by both locals and visitors alike. In a world that seems to be dominated by chain restaurants and corporations, it is refreshing to return to simpler values and to enjoy better food. That is what you get when you come to “mom-and-pops” in Salinas: hearty, flavorful food with the satisfaction that supporting local businesses provides. Anything in excess isn’t good for you, but the food that is served at our authentic Mexican restaurant provides much of the nutrition that your body needs on a daily basis. From ample amounts of protein to fiber, healthy fats, and cancer-fighting compounds, our food has nutrients that can benefit your body. Nothing is worse than falling in love with your favorite restaurant in Salinas only to discover that they don’t offer catering — you can’t share it with your friends and family. 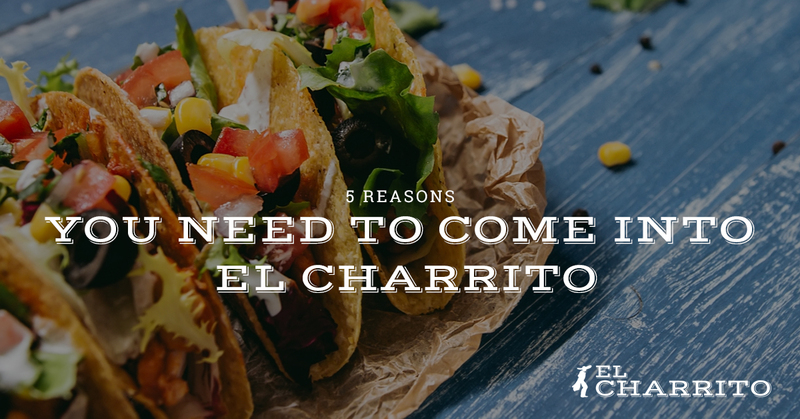 With El Charrito, you don’t have to feel disappointed; we offer affordable, delicious catering to Salinas and the Monterey area. We also have great reviews. Not to toot our own horn too loudly, but the people have spoken, and they love us! They drive from surrounding towns just to get a taste of our cuisine and they are over the moon for our flour tortillas. We also won Best Burrito by Monterey County Weekly! You can read reviews, or you can come in and see for yourself why so many love our authentic Mexican restaurant in Salinas.